Dallas Shaw Blog: how would you style it? 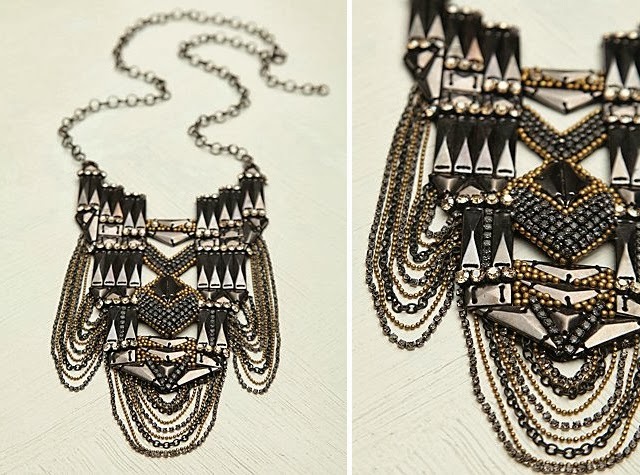 we want to know, what do think about this deepa gurnani metal disk & chain bib necklace? we love it, but want to know- how would you style it? A black tissue T, jbrand leather jeans, rocker boots and balenciaga leather jacket. oo! Black thin turtleneck cropped top and leather peplum skirt. love.